#2 [usability review]: Tape it Up! Figure 1. First screen of the game Tape it Up! Dev: Devsisters corp. This is a mobile game designed for Android and iOS platforms. 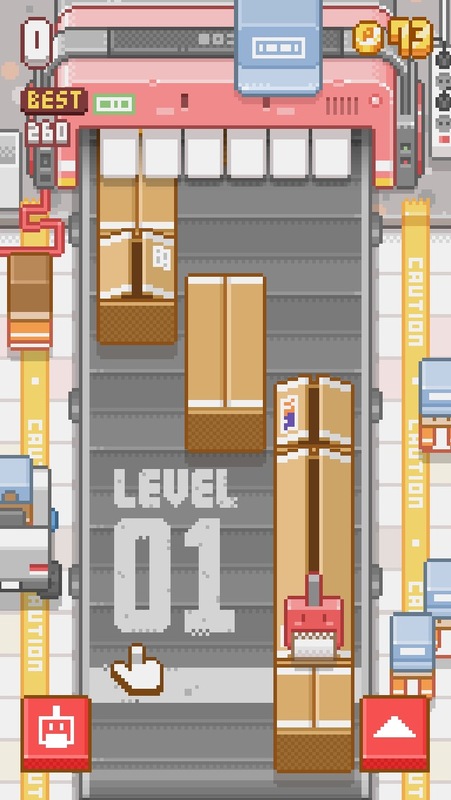 In the game you are a “tape” and you need to run through the boxes in a “factory” (Figure 1). In order to win the game you have to swipe left/right and avoid falling in the empty spaces. 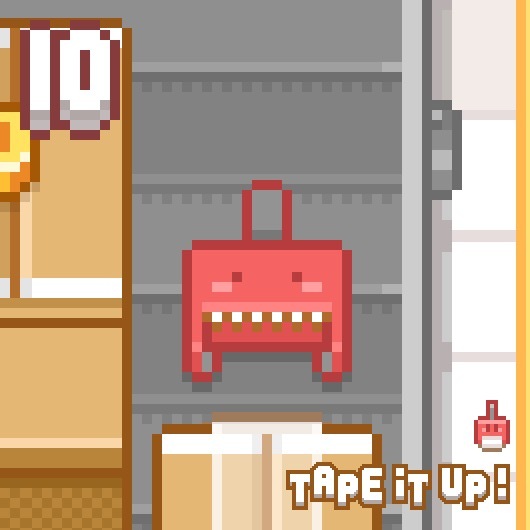 Sometimes you can fall into boxes with prizes and you may collect letters that would give you a limited power-up/advantage. 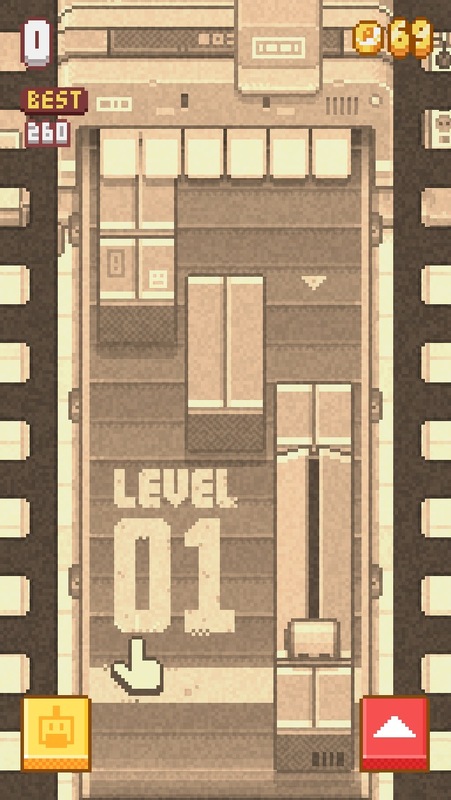 I’ve tried this game in an iPhone. a) New characters = new assets. The utilisation of characters and assets is very good and the changes in the game scenario, sound and character makes it more interesting for the player, particularly because those changes are not predictable. For example, when the character is a film, the whole scenario changes to “film” (Figure 2). b) Ability to try new characters. After losing, players can try new characters for free. However this is only temporary. If the payer doesn’t play attention, after using the new character she will be charged. c) Visualisation of achievements (from Game Center). Although it would be good to see this in the game itself, when the player receives the notification that she has collected a number of points or coins without stop, it is very gratifying. d) Game goals are clear and easy to play. 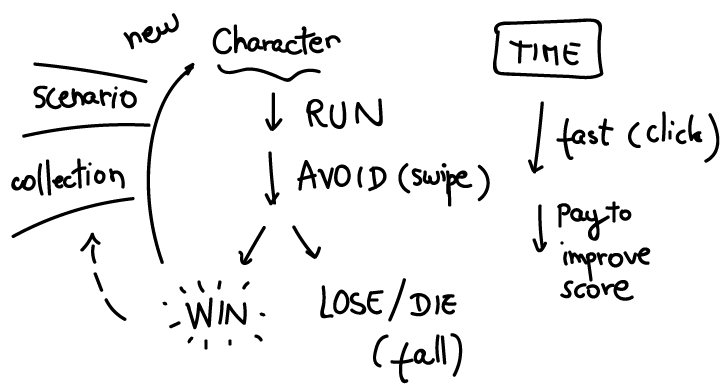 When the player starts, there is a small tutorial that is part of the game and the controls are very simple. With the swipe and tapping to get some speed, players might feel very familiar with the controls. It works well in a mobile phone and players could play with both hands or one. Since the gameplay is short, the game could be suitable for people who doesn’t have enough time to engage with long gameplay. e) FEVER. Collection is a key component is this game and it is what makes it pleasurable. The FEVER letters are fun and the changes in the scenario and music are very well-designed. It would make players collect more letters. f) Question mark boxes. All question mark boxes are very good since it makes the player more curious. 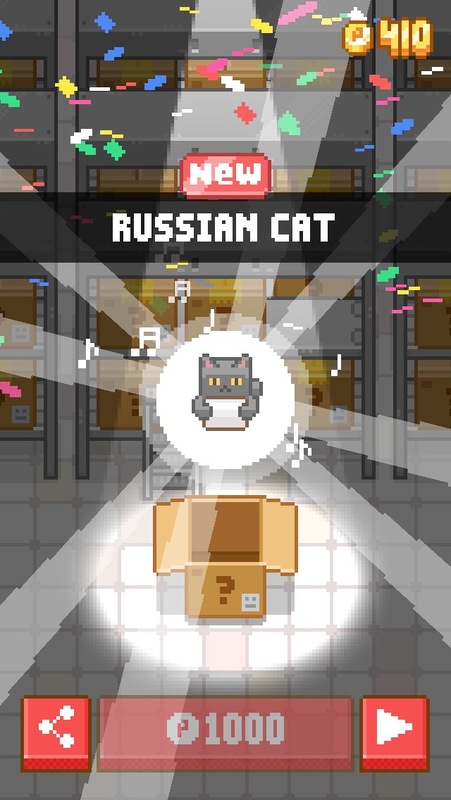 When the player unlocks a new character, there is an animation of the boxes and the character appears (Figure 3). Although the player knows the selected character, the idea of something being “hidden” is very pleasant. g) Collecting daily gifts. 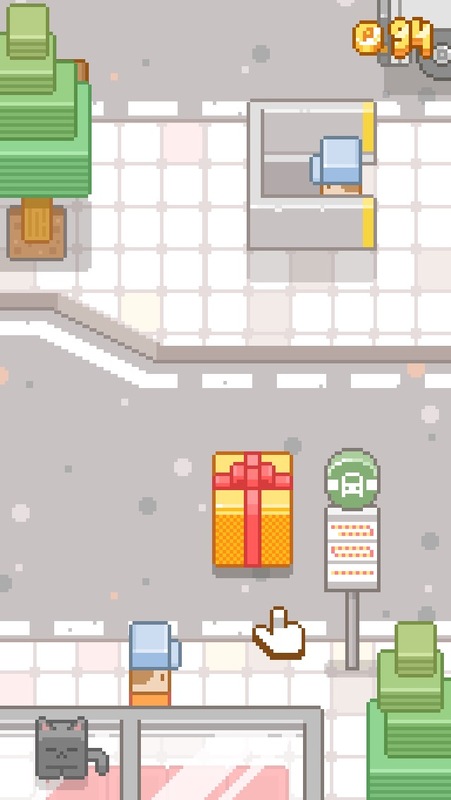 The idea of collecting gifts is very good and the animation in the street makes it more special (Figure 4). Figure 2. New scenario for the “film” tape. Dev: Devsisters corp. Figure 3. Unlocking a new character. Dev: Devsisters corp. Figure 4. Getting your gift in the middle of the street. Dev: Devsisters corp.
a) Why do I get a “reward” that is a video that stops my experience? When you jump in the box with the question mark, there is the possibility to get a video jumping into your face. Suggestion: I would remove this. Personally, I think it takes the fantasy away from the game and it forces the player to accept the video after playing very hard in the game. b) What is the real reward of the game? Not sure if the scores matter as much as getting new characters or unlocking new content. You can see the scores, but there is no real comparison since your position might be very far from the top ones. Suggestion: At the end of the game, maybe the comparison table could appear in order to show the player that she is almost there. Or maybe the scores could be more obvious. For example: beat your score to unlock xxxx. If the player is playing with Facebook integration, maybe the screen of comparison could appear after gameplay. With that, players would be able to compare their scores easily. c) The game gets repetitive. The gameplay is very simple and repetitive. Although this is not an issue, in this game it is very obvious. Since the beginning is the same (always), it can become a bit boring. Suggestion: once the player unlocks new characters, designers could not only change the scenario and assets, but also give the character new features or change the position of the boxes for a while. d) Jumping into another level. This feature could be good in order to make the player pay with virtual money to jump into another level. However, since the gameplay is the same (maybe just harder), this function might lose its purpose, unless the player can see the progress from other people. Suggestion: add something for the player to look forward to in the higher levels. Maybe in the level 10, the factory is prettier or there would be a “boss” there or something that actually requires the player to jump to another level. For example, Temple Run used to do something like that in their first game, in which players could see the distance of their friends.